The government on Tuesday broke its silence on a €274 million direct order given to a private consortium for a 500-bed extension at St Vincent De Paul nursing home. The government also accused Times if Malta of “lying”. Despite the government’s denial, on July 20, through the government gazette, the Ministry for Family and Social Solidarity said it had issued a €273,649,689 million direct order to JCL (James Caterers Limited) and MHC (Malta Healthcare Company) Consortium for "the management services of new hospital/residence (part of a Public Private Partnership)." The Government Gazette showing the approval of the direct order. According to the law, the government is obliged to publish a list of direct orders given by each ministry every six months. A spokesman for the Finance Ministry said on Monday “the minister had not approved any such direct order and had already requested a report on the matter from the Director of Contracts”. In its statement, the ministry insisted that the €274 million procurement to James Caterers and a subsidiary of the DB group is related to an earlier tender issued in 2015. That tender was for the procurement of catering services for the old people's facility and the construction of a new kitchen. The ministry said that following the decision to award the contract to the consortium, the two private companies "made a better offer to the government" and offered to invest in the building of a 504-bed extension at St Vincent De Paul. According to the government, following this “improved offer”, which was not part of the tender, the ministry agreed to pay the private investors for the services they will be offering through their same “better offer” for the management of the new facility including the provision of nurses, carers, cleaners, catering, laundry and maintenance. The medical care necessary will remain the responsibility of the government. After the 10-year period of the contract, which can be renewed by another five years, the facility to be built by the private consortium will become public property. The government said that through this deal it will be saving €17 million. The original value of the tender was €58 million. 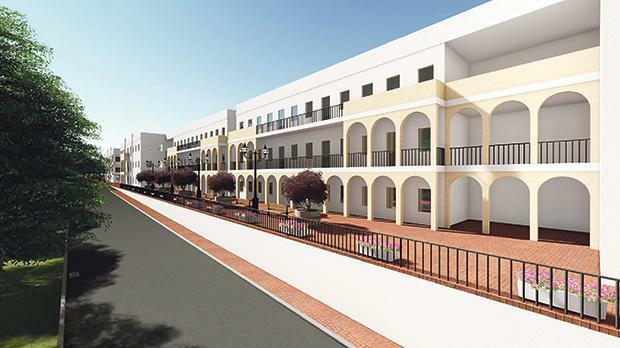 The government should immediately clarify the facts on the procedure used for the administration of the 500-bed extension at St Vincent de Paul, the PN said in a statement. It said that the government statement was contradicted by what was published in the Government Gazette. In view of the fact that the Finance Minister said that the direct order had not been approved, for the sake of transparency and good governance, the government should immediately explain what led to the award of the direct order and why had the Finance Ministry’s approval not been sought.